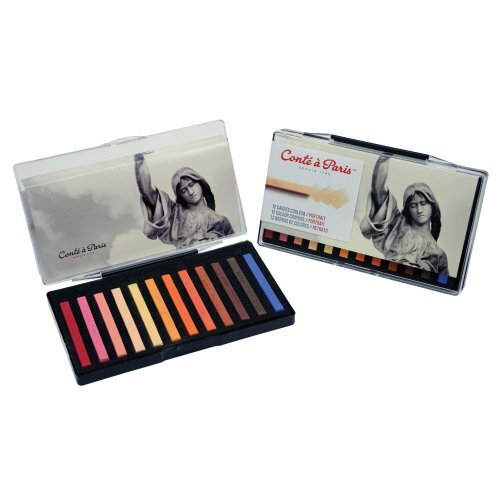 The Conte a Paris Color carre crayons give accurate and energetic strokes when the edges of the sticks are used and artists can produce flat areas by using the flat of the crayon to create the values. This set includes 12 assorted portrait colored crayons in a great plastic storage box. If you have any questions about this product by Cont Paris, contact us by completing and submitting the form below. If you are looking for a specif part number, please include it with your message.